Good tweezers are a dime a dozen but a great pair of tweezers is hard to find. Mary Ann McCormick from Lark Fine Food (we featured her gourmet cookies just last month) said these were the best tweezers she has ever owned. After using them to extract a very stubborn sliver that other tweezers couldn’t grip, we have to agree. So what makes Uncle Bill’s Sliver Gripper so special? Unlike conventional tweezers that are made by spot-welding two pieces of metal together, the Sliver Gripper is crafted from a single piece of spring-tempered stainless steel. The pointed tip is honed by hand so it’s unbelievably precise. 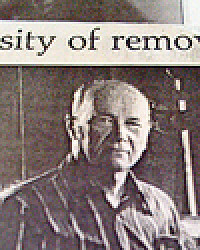 The inventor, Uncle Bill, created the tweezers in his basement workshop. Today they’re manufactured in West Hartford, Conn., by a company that kept the Uncle Bill name to pay homage to his big little invention. One of Uncle Bill’s largest customers is the U.S. military — soldiers keep a pair with their dog tags. If the Sliver Gripper is good enough for use in the trenches, then you know it’s something you need to have in your first-aid kit… and in your makeup case, sewing bag and toolbox. Precision handcrafted tweezers in reclosable tubes. My name is Paul Cleveland and I am delighted that the Daily Grommet has elected to feature our unique little American made tweezers tool. We are proud to say that 30 years after Uncle Bill made his first Sliver Gripper that we still strictly follow his model of craftsmanship which includes only high quality materials, hand-polishing and sharpening, and individual inspection of every tweezers we make. Uncle Bill’s Sliver Gripper is a tool that you will find many uses for every day and our goal is to someday see everyone with a Sliver Gripper on their keychain. I am here all day and would be thrilled to answer any questions you may have for me today about our story and our product. Could these be used by women for the use on their eyebrows? Hi Kathy Jo. 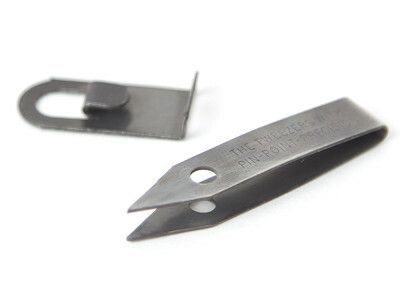 Yes Uncle Bill's tweezer is a multi-purpose tweezer, including as a cosmetic tweezer. It has so many uses that we like to consider it to be more of a tool than a tweezer. 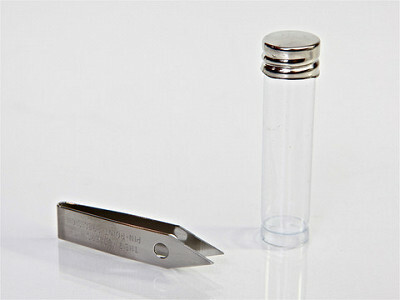 @Kathy Jo-The pin point tip makes grooming brows easy. It is hard not to get carried away. Be careful not to go to far. The one that comes in the clip looks like it could double as a zipper pull. Is that true? 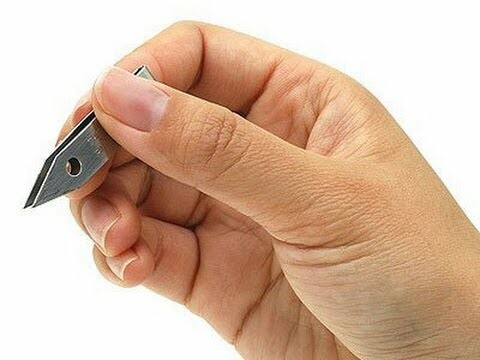 I never tried it for that, but the clip is made of stainless steel that will hook on to any type of lanyard device like a keychain, dog tags etc. 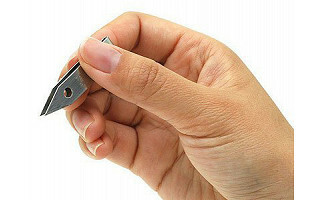 With the tweezer attached to it to provide leverage it would probably work as a zipper pull as well, depending on the type of zipper. I'll have to try that out. When we moved to our new home several years ago, a new friend bought my husband and I each an Uncle Bill's sliver gripper. He had them engraved with our initials and a bible verse reference. We love our sliver grippers, and use them countless times... especially now that we have three little boys! I've three of these; one at home, one at our camp in Maine, and one in my briefcase. Someone at work needed to borrow them the other day and the person was amazed with the quality and effectiveness of this product. Just thought I'd pass this info along. These are the best tweezers I've ever seen; in a class by themselves. I purchased three of these from Daily Grommet several months ago. I 'm always on the lookout for excellent tweezers. These were rather disappointing - They didn't have the precision grip I was expecting. They didn't work as well on eyebrows or splinters, nor did they seem to be able to grip as well as a pair I had been using before. @Karyn: Sorry to hear that you were disappointed. In all of our testing, we found the sliver grippers to be great performers, in fact, they've consistently been a top-seller here. But we do continually reevaluate our Grommets, so we appreciate the feedback and will be sure to watch for any additional concerns or issues. In the meantime, we want you to be 100% happy with your purchase. We'll email you directly to hear more about your experience and to take care of you. I love these! They're sold at my local hardware store and everytime I'm in there I consider purchasing another... just in case. I already have 5 or 6 of these (I lose things) and they're amazing. I use them for slivers, cacti attacks, eyebrow grooming, dog paw foxtail extraction and so much more. I find that if you pinch too hard they're less likely to work well. They require less effort than other tweezers. I ordered 2 pair of these a couple of years ago. They were a disappointment, as they wouldn't even grip a single hair. I tried both pairs, and the result was the same. Frankly, I am surprised to see the still being offered for sale here. I did return the two pair that I ordered, and I received a full refund. Thank you.